Fun and fabulous kids games around the world and across families. Today’s post is a collection of wonderful play ideas from a group of amazing bloggers who write about raising multi cultural kids. Almost all of them have one commendable goal – to raise world citizens. These parents are doing an amazing job teaching their kids to respect differences at the same inculcating curiosity in learning about the said differences. Every month a blogging carnival is hosted on various topics. Visit the upcoming site to see the earlier blogging carnivals. This month’s topic is Play Around the World. 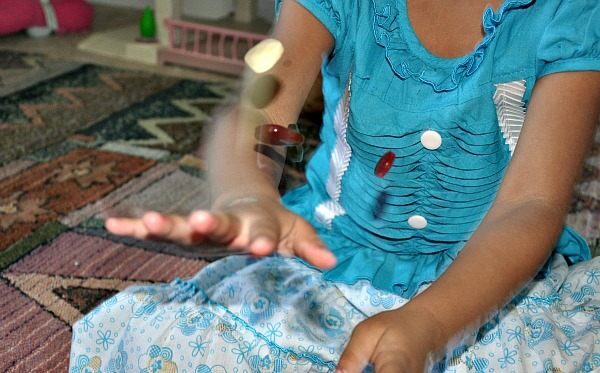 What do kids in Thailand play? Do they play any special games in addition to the universal play in dirt, climb trees, tag, hide and seek? Read on to learn more.. However we will start off a simple game very popular in India. 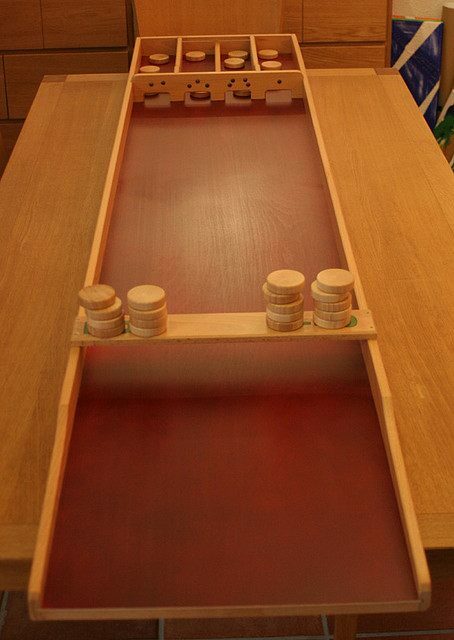 The game is played with 5 stones and the goal of the game is to capture all the stones. Throw the stones which landed on the back of your palm, pick up the stones which are on the ground and now catch the stones which you threw. Bit of juggling eh? 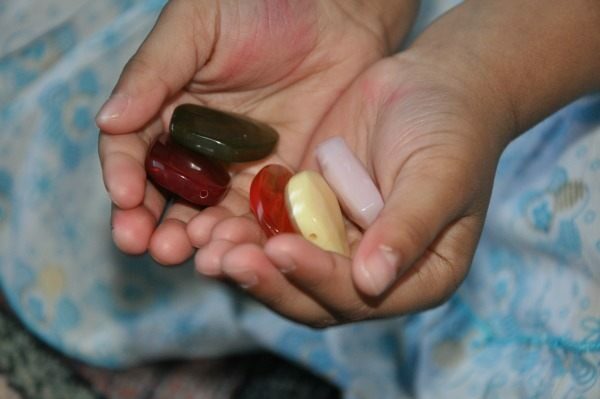 Pick up some smooth pebbles, throw them gently and try to catch a few with the back of your palm. That’s it. 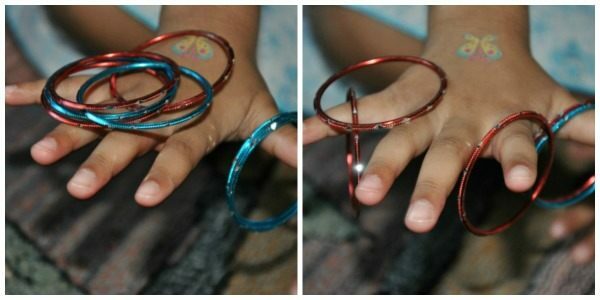 I must say just this alone was fun for a 4 yr old..
We did the same with bangles. 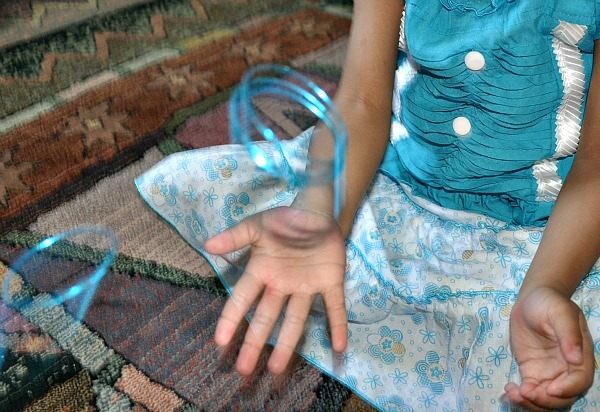 Try to catch as many as you can with your fingers. Now for some posts from our multi- cultural kid bloggers. Click on the game and country name to go to the original post. Kid World Citizen has a fascinating post on this Thai kick ball game. The ball itself is an amazing creation! Kid World Citizen also wrote a fun post on this unique game of Kabaddi which is popular in many parts of India. It is a great gross motor game that promotes agility and team spirit. Spanglish House describes a easy to play and loads of fun game kids play on playgrounds in Bolivia. This clever mom even used the game to teach action verbs! Kid World Citizen shows us in this amazing post the game of Mancala – the Ethiopian version. It is a fun math based game which is popular in many parts of Africa and Asia. Expat Since Birth has a small collection of traditional Dutch games which includes, a shuffleboard activity and a fun carnival style game which includes eating! 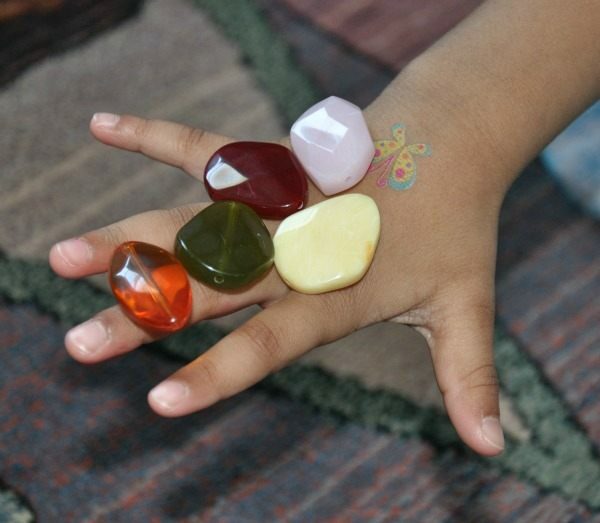 Creative World of Varya has a simple play activity which is very popular among the Chinese kids. I’m sure you will nod your head in agreement when see this fun play idea. All Done Monkey has a cute Costa Rican variation of a very popular baby activity. Kids Yoga Stories shows us all play is all about being simple and connecting with your kids. She has a fun idea for a family tradition. In Culture Parent also has a great round up of popular board games from around the world. In Culture Parent’s beautiful collection of kids from around the world simply playing is a must see. A common factor as you can see in all the games mentioned above is that they are all good, old fashioned simple play. Why not try a brand new game and talk to the kids about its place of origin? A little lesson on geography and world culture all while playing. Thanks for reading and don’r forget to visit the blogging carnival’s page for the upcoming installment.